Here is a fun and easy way for the entire family to pass the evening and countdown the hours until midnight. Find a fun spot in your house to tie a bunch of balloons. 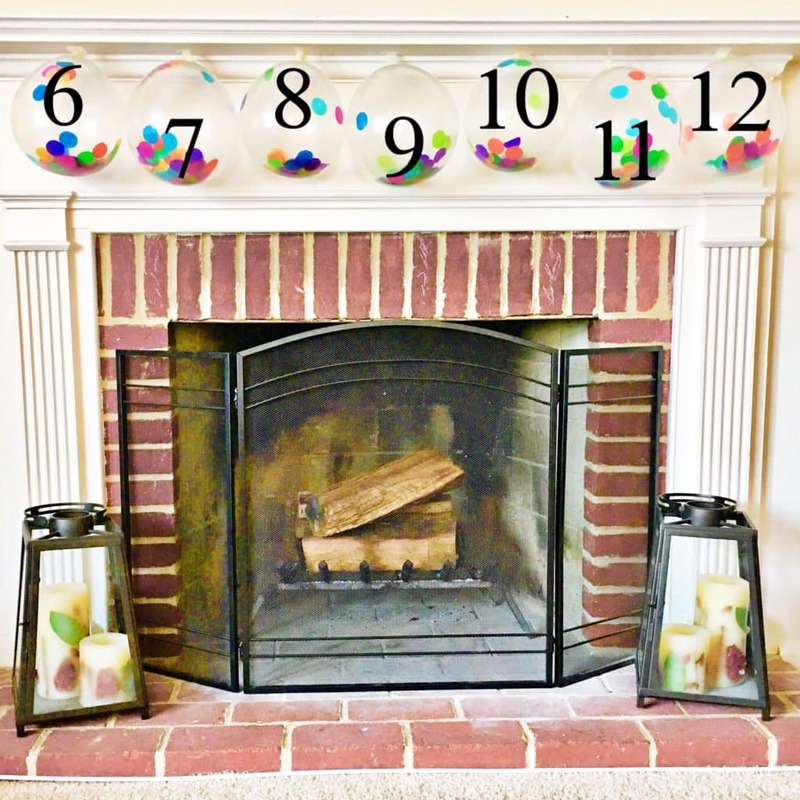 In this example I used confetti balloons that I purchased from the Dollar Tree, and simply taped to our fireplace mantle. But you could also tie balloons to a railing, a chandelier, furniture, or get creative! 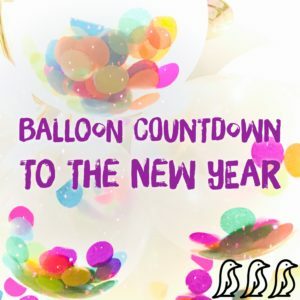 Inflate 1 balloon for every hour leading up to midnight that you will be celebrating. 6:00 – Wishing Wall – Grab a bunch of post it notes and make your own wall of wishes and goals for the New Year. 7:00 – Cohen – He is our youngest child, so incase he doesn’t make it as late, he get’s to go first. From 7-8pm Cohen gets to pick all of the games we play. 8:00 – Carter – From 8-9pm Carter (our other son) gets to be in charge and decide what we play. 9:00 – Mady – From 9-10pm Mady (out daughter) gets to be in charge and lead all artwork. 10:00 – Scott – from 10-11pm Scott (my husband) gets to lead all activities. 11:00 – Karissa – from 11-midnight I help the kids get ready! We prepare a few fresh snacks, we straighten up all of our decorations, hand out the party blowers, mix up some low-sugar kid-friendly drinks, and we get ready to ring in the New Year! 12:00 – Happy New Year – for this balloon you could fill it with confetti and a few small pieces of candy/treats.